For the best possible storage performance, stack your inventory by the pallet. 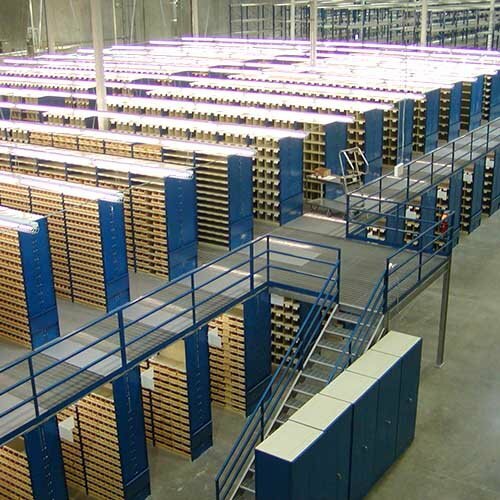 We can install rows of pallet racking that can organize your warehouse and improve your fulfillment times. We have the lowest prices in the state. Click here for a free online quote. 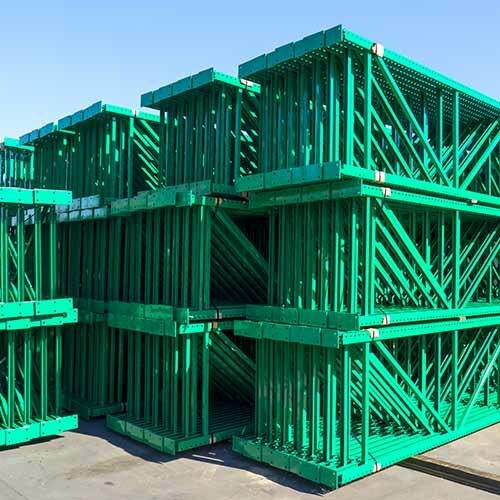 All our pallet racks are fabricated and tested at our location in Redlands, California. 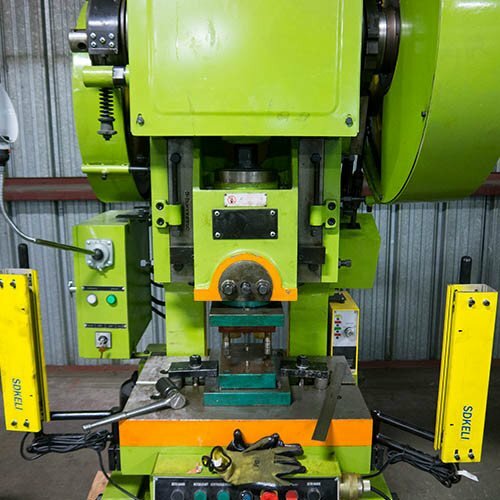 Our amazing team can fabricate any size beams and uprights. The machines we use are finely tuned and perfectly maintained. You will never find a company that will match our experience, prices, and passion. 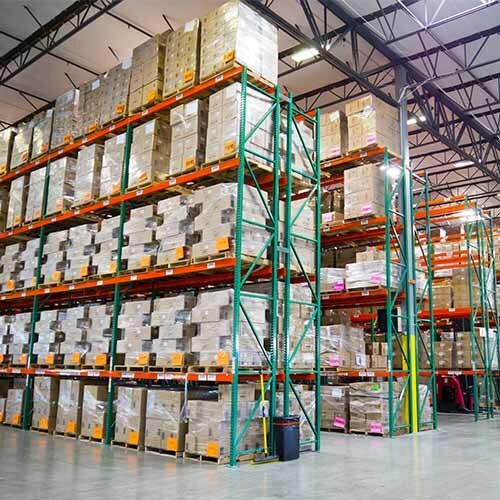 The best and most cost-effective way to expand your warehouse storage space is by installing pallet racks. 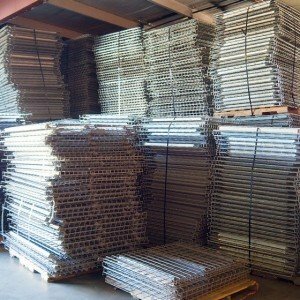 Warehouses have heavily used pallet racks since WWI. 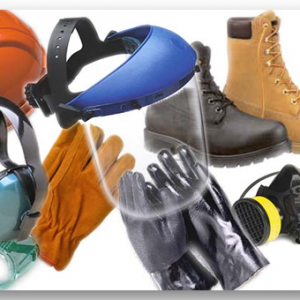 They have been used so much because of their simple design, low-cost, and strong body. Pallet racks are the bones that hold a warehouse together. 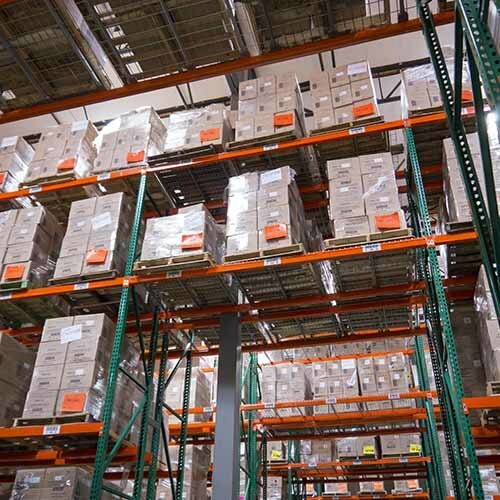 Without pallet racks, warehouse storage would not be where it is today. All of our pallet racks are checked and triple checked for physical deformations. 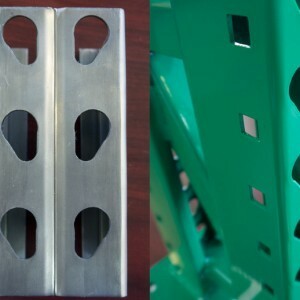 We make sure that our new pallet racks have no dents, breaks, and cracks. Upright columns are checked for integrity issues. Crossbeams are checked for weaknesses. Beam connections are checked for weight tolerance. We make sure that everything we design, deliver, and install is up to code and is safe for use. We can fabricate any size, gauge, and color. All our new pallet racks come in one style, teardrop. 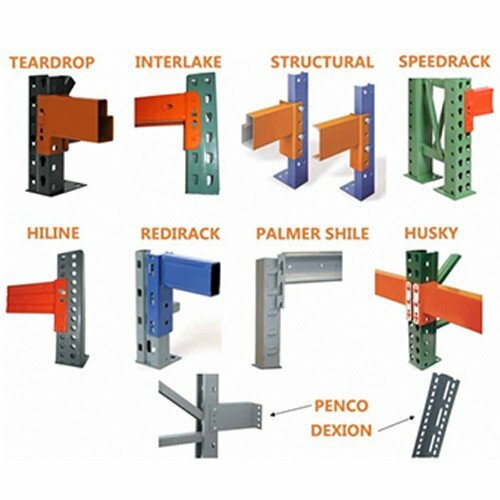 Named after the teardrop-shaped holes punched into the uprights, teardrop racks are the most popular style of racking on the planet. Teardrop racking is used so much because of its universal appeal. Many different brands of racking can work with the teardrop design. 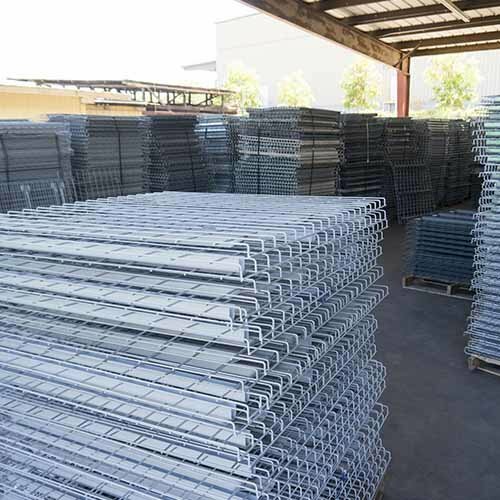 Our pallet racks come with wire decking. Wire decking offers high durability, better product visibility, and amazing flow for your sprinkler system and HVAC installs. Wire decks are light, easy to install, and low-cost. 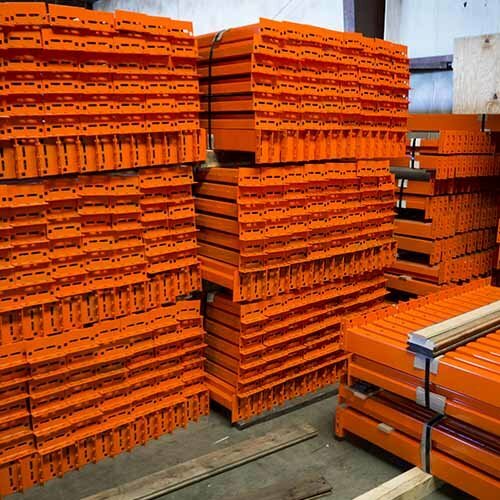 After taking measurements of your location, our team will design your pallet rack. They use the latest in pallet rack design software. The program of choice, Auto Cad. 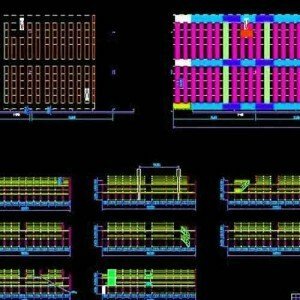 With this program, our expert team can design the perfect layout for your warehouse. Every square inch of your flooring will be used to build the best possible shelving bays.